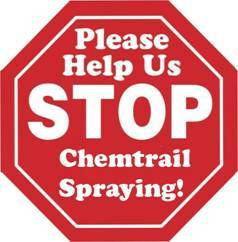 Chemtrails and Sub-Micron Particles - Chemtrails Spraying and Sub-Micron Particles - SUB-MICRON PARTICLES Chemtrail Information - Stop Chemtrail Spraying in California! 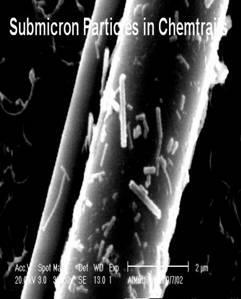 Submicron particles are smaller than asbestos fibers which have been measured at .3 micons. 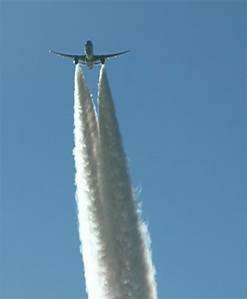 Toxic metals and chemicals are falling from chemtrails at the submicron level. 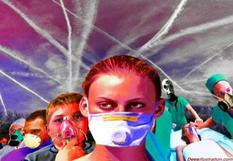 We have no defense against breathing in submicron particles and having them lodge in our lungs. Submicron particulate matter can only be observed under highly specific reflective conditions. 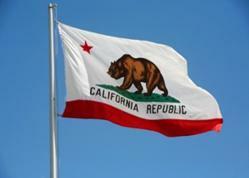 Once the fallout passes through this zone, it is invisible to the naked eye. 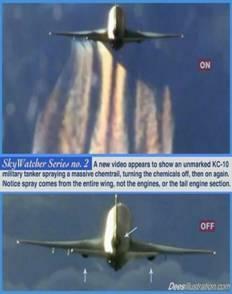 Research scientist Clifford Carnicom discussed his latest findings in the chemtrail phenomenon. 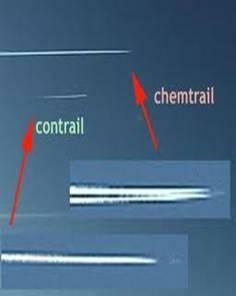 Differentiating chemtrails from contrails, he noted that contrails from jets occur in cold dry air, and unlike chemtrails don't stay visible for long in the sky. 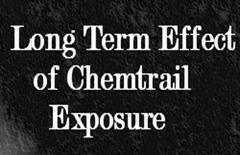 Chemtrails result from planes conducting aerosol spraying in covert operations that pilots may not be fully briefed about, he said. 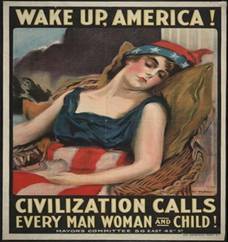 He listed six different agendas or motives for these operations, some of which may overlap: environment or climate changes, biological, military purposes, electromagnetic, geophysical or global effects, and exotic propulsion systems. 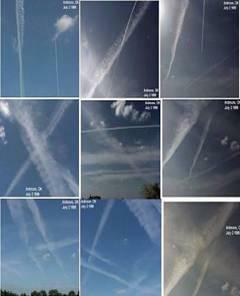 Carnicom said analysis of material from chemtrails has revealed magnetic salts, including the toxic substance of barium. Fibers, submicron in size, have also been detected, and they bear a physical similarity to the filaments found in Morgellons Disease, he commented. 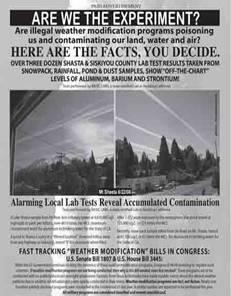 It's possible that the spraying is being used to alter the physics of the atmosphere and harness the energy of storms, said Carnicom, who added that he believed these attempts were diminishing the amount of rain and moisture. 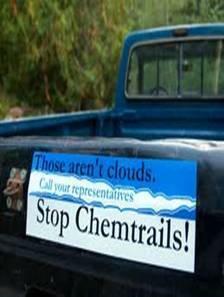 He also noted that respiratory ailments were on the rise and may be related to increased particulates in the air. 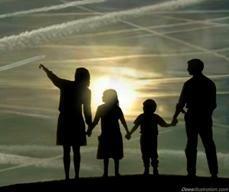 He cited a recent NASA report detailing a "Twilight Zone" of aerosols in the sky.